After the heavy rains of yesterday, today dawned clear and bright through high wispy clouds. The sunshine is illuminating a delicate mist that has settled in the hollows and a myriad of rainbowed water droplets clinging to the branches and power lines. 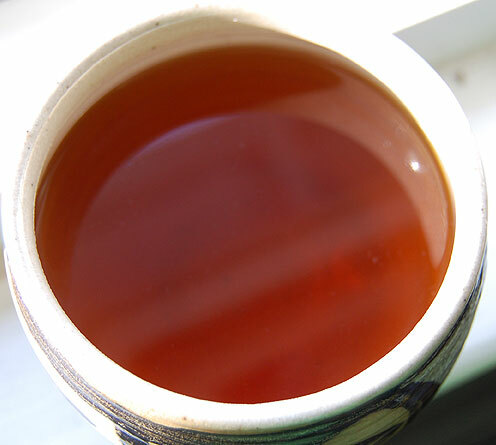 As I sit at my window, I am sipping a cup of China Keemun tea called Xiang Luo. From Anhui province where the most prized Keemuns are produced, it is a treat to the senses from its toasty aroma to its rich honeyed amber color and buttery smooth liquor. 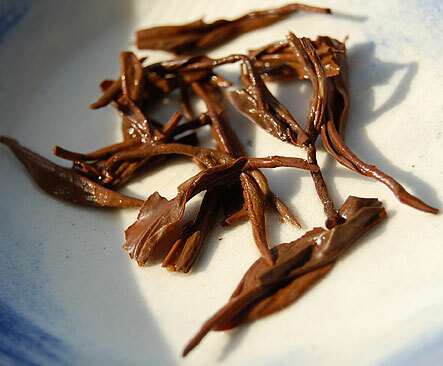 Keemun tea is named after a county, Qimen, in Anhui province. There are several stories about its origins but the most common is one of a governmental official in the late 1800s who learned black tea production in Fujian province and then decided to return to his native county, Qimen, to produce black tea there. He met with success and his new black tea was imported to England where it was enjoyed as a breakfast tea. The words I would use to describe Keemun tea are rich, wine, smoke and chocolate. While it is nowhere near as smoky as a Lapsang Souchong, there are hints in its flavor that might appeal to Lapsang lovers. Keemun may be enjoyed plain but it is certainly strong enough for milk or cream when the long, wiry leaves are steeped for 5+ minutes. What are your experiences with Keemun tea? This entry was posted in Black Tea, Nature, Tea and tagged Keemun tea. My company, Indonique Tea & Chai, evacuated from New Orleans after Hurricane Katrina and is rebuilding in the New England area. Our Chai was called the best in New Orleans by gambit Magazine. We’d like to send you some tea & Chai samples to review. If this OK, just let us know where to send. Thanks so much for for visiting, George. I will contact you separately through your website.